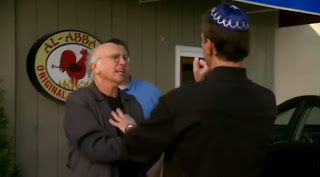 When I blogged about Larry David's brilliant "Palestinian Chicken" episode of Curb Your Enthusiasm, I focused on the role that the yarmulke played in that episode and didn't really get into the meatier (get it?) issue that chicken can potentially play in Israeli-Palestinian relations. I figured someone would find value in that comical episode and try to use it to bring the two sides in the Mid-East crisis together for dialogue. 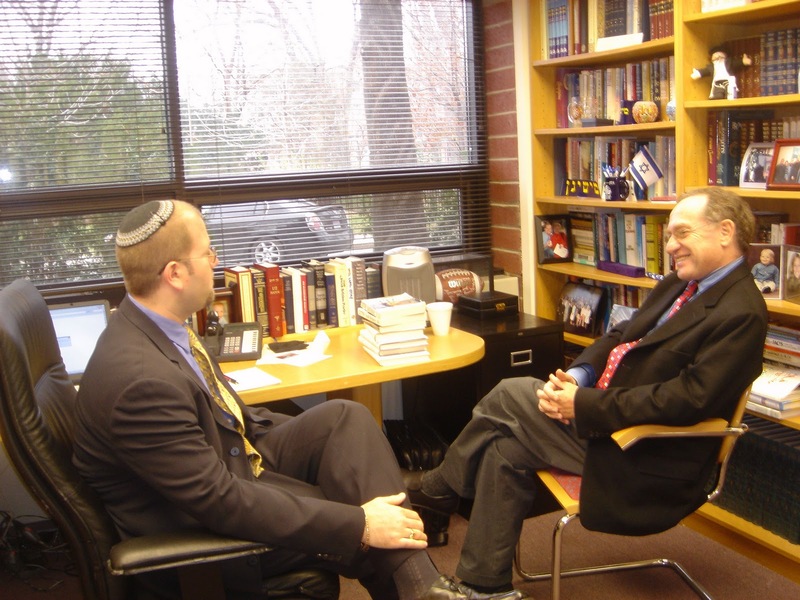 I was just surprised when I heard it was Alan Dershowitz. University of Michigan Hillel Foundation in 2005. "I recently sent a copy of ‘Palestinian Chicken,’ that Larry David gave me, to Prime Minister Netanyahu -- with the suggestion that he invite Abbas over to watch it together,” he said, referring to the episode of “Curb Your Enthusiasm” centered around the heated competition between a kosher deli and a Palestinian chicken joint in Los Angeles. “And maybe if they both get a good laugh, they can begin a negotiating process … So it may be that Larry David will not only win Emmys, but he may even qualify for the Nobel Peace Prize, if his episode could bring together Netanyahu and Abbas, and bring Abbas to the negotiating table." Al-Abbas or was it a wink at Mahmoud Abbas, President of the Palestinian National Authority? Wow! I really think it would be fun to watch Abbas and Netanyahu viewing that episode of Curb together. The only thing that would top that would be if Larry David, Jeff Garlin and Bob Einstein were there in the room too. What would they all be eating during the viewing? Obviously, (kosher) Palestinian chicken!